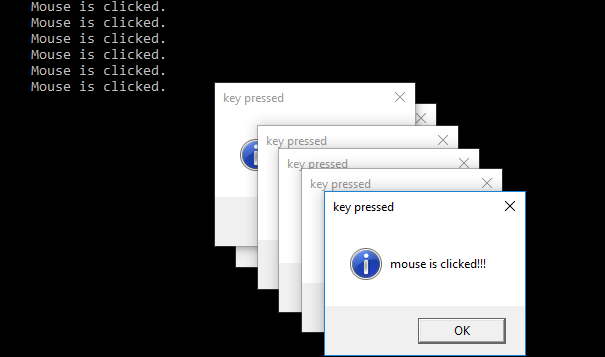 The mouse logger is an important tool to track computer mouse input activities. Here the simple example of mouse logger is shown. A callback function (procedure) is defined for mouse to track its activities. This procedure is called every time by SetWindowsHookEx function when a mouse input is applied. This code demonstrates a Simple digital clock. 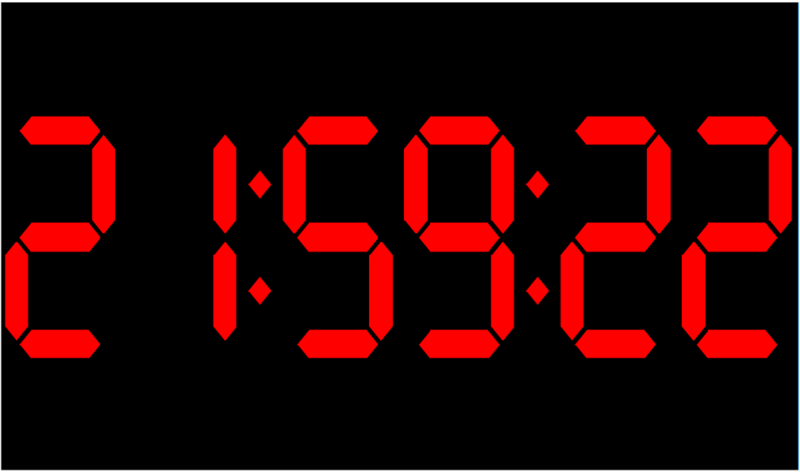 This clock is a simulated LED type with 7 segment display. 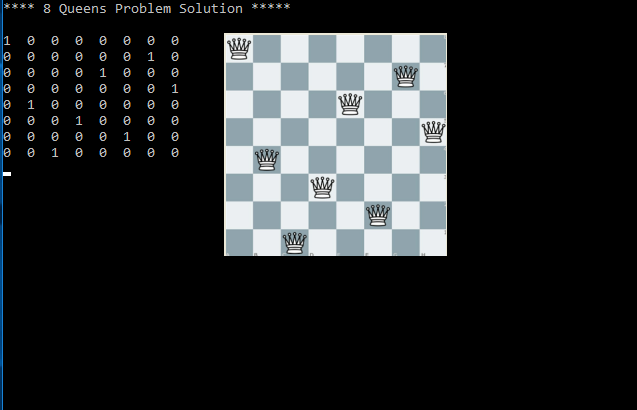 It`s looks very fascinating with a black background and the code is also very simple & even a beginner in windows c++ programming can understand the logic of the code. The code explanation is given at the end of the code in the comment block. Reference: Programming Windows by Charles Petzold. A folder monitor can be used for the surveillance of files/folders and will notify you of file/folder changes, access, deletions, modifications, new files and inactivity in real-time. 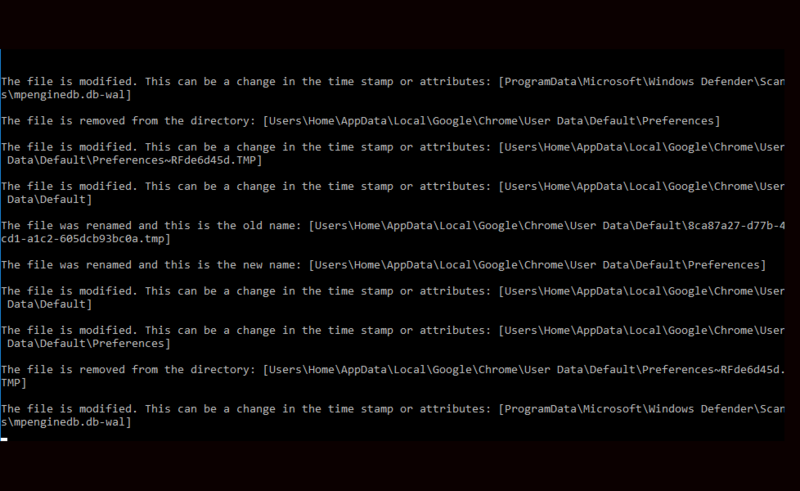 Users and processes making the changes can also be detected. A c++ code is given below to show how we can monitor a folder in windows operating system. 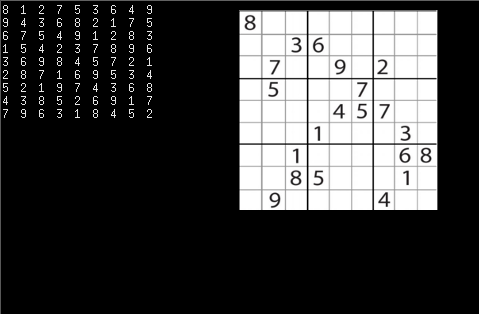 This C++ program demonstrates the Sudoku problem solver using Backtracking Method. We basically check that the same number is not present in current row, current column and current 3X3 sub grid. After checking for safety, we assign the number and recursively check whether this assignment leads to a solution or not. If the assignment does not lead to a solution, then we try next number for current empty cell and if none of number lead to solution we return false. 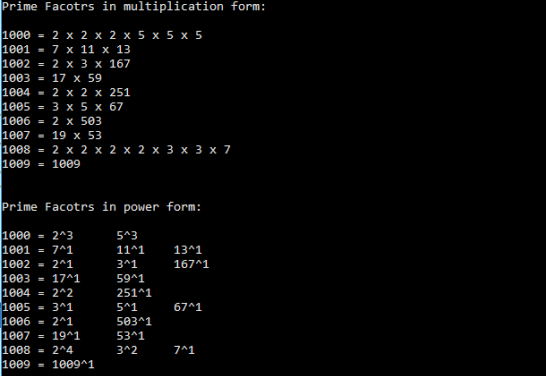 This code prints all prime factors of a specified number in both multiplication and power form. There are two separate functions to print in different forms. The explanation of code is given in the code in comments. The code may be improved for large integers and performance. A Magic Square of order N is an arrangement of N x N numbers, usually distinct integers, in a square, such that the n numbers in all rows, all columns, and both diagonals sum to the same constant. 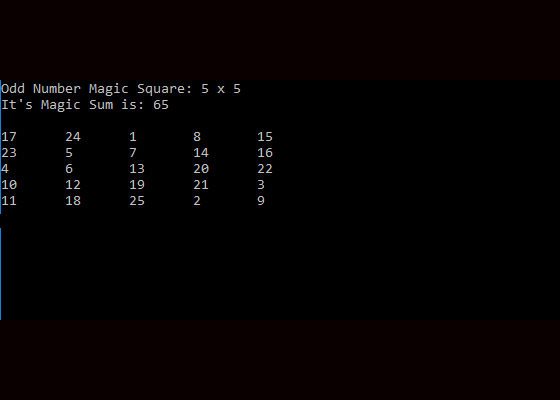 A magic square contains the integers from 1 to N x N. The constant sum in every row, column and diagonal is called the magic constant or magic sum, M. The Magic Constant of a normal magic square depends only on n and has the following value: M = N(N^2+1)/2; Here we demonstrate a program to draw magic-square for order of an odd number. You can change the value of N in the code to print for a different number. 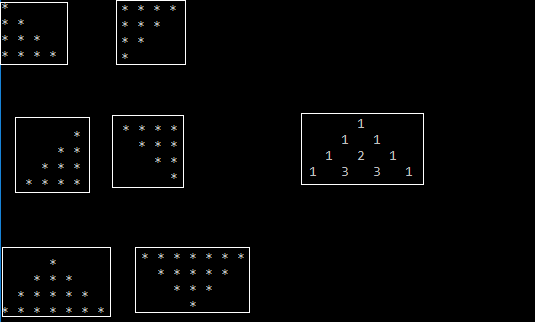 This code demonstrates simple functions of patterns that are useful for beginner in C/C++ coding. A namespace `Pattern` is defined to access all pattern functions so that they can be used in one main function. The code is simple enough and can be understood if you know the basic `for loop`.